It has been a very busy term in the Social Justice space. With the end of term also comes the end of Project Compassion and I want to sincerely thank everyone for the generosity shown over the past few weeks. Project Compassion is all about giving 100% from the goodness of our heart and using our luck to enable someone to rise above their position – creating tangible change in the world. There are many success stories of Project Compassion in the world. Nguyet, from Vietnam, who lives with a disability, has been able to start her own business with support from Caritas since 2017. Salma, from Bangladesh, is now a mother of two healthy children after support from Caritas’ Safe Motherhood program nursed her and her baby back to heath in 2013. 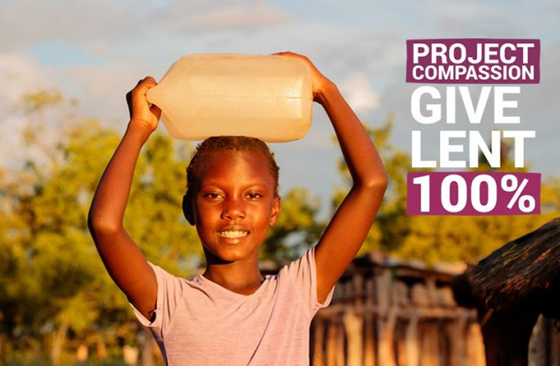 Overall, Project Compassion is currently helping fund more than 100 long-term developments all over the world and has given assistance to more than 118 vulnerable countries. Next term the Social Justice focus shifts towards Loreto Day, a Year 11 initiative. This is just another example of the importance of student-led action and student-led change. Here at school we all have an opportunity to make an impact and be involved, and indirectly, we all contribute to the Social Justice system here at school. Sometimes as teenagers it feels like we cannot make an impact in the world, but it is important to remind ourselves that even if we cannot directly create massive, global change, we can still do it indirectly, at least in a small way.